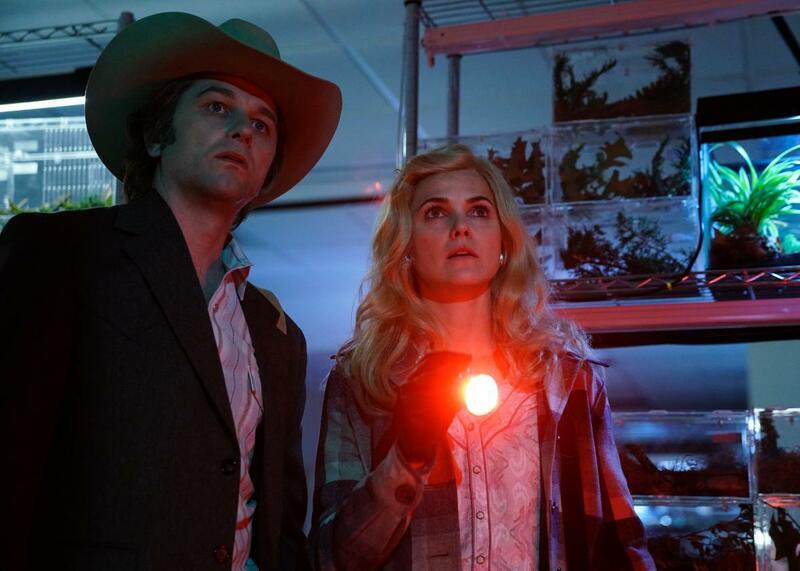 Philip and Elizabeth Jennings (Matthew Rhys and Keri Russell) go undercover in Oklahoma. Each week on Slate’s Americans podcast, June Thomas sits down with the creators, cast, and crew of The Americans as they reveal behind-the-scenes details about the making of the FX drama’s fifth season. In Episode 3, “The Midges,” writer Tracey Scott Wilson talks about the main characters’ psychological states and her favorite characters to craft dialogue for. Then Thomas talks with costume designer Katie Irish about her personal connections to this season’s outfits, the meaning of Claudia’s pin collection, and why she searches the scripts for mentions of beets. Note: This podcast contains spoilers and is meant to be enjoyed after you watch the episode. New episodes air Tuesdays at 10 p.m. on FX.